These dolls are based on the traditional Russian Matryoshka nesting dolls that were first created in 1890 and that have enjoyed popular appeal ever since. Instead of the standard peasant women of the regular dolls, this set is made up of a panda, a penguin, and a raccoon. 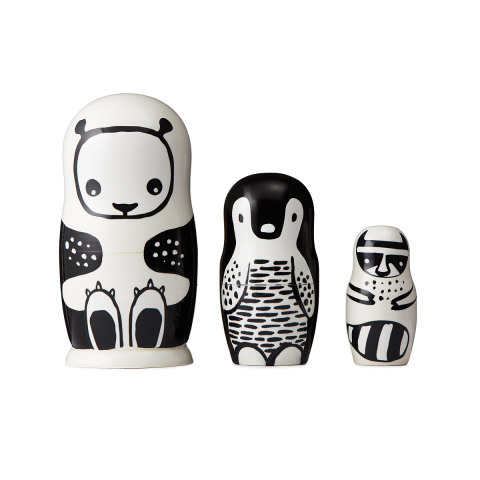 The dolls are handcrafted of wood by artisans in Russia and the designs are inspired by local folk art. 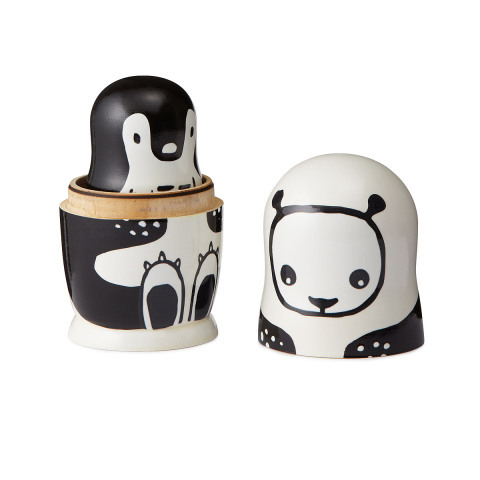 To order a set of Animal Nesting Dolls for your favorite kid, click here or go to Amazon here.